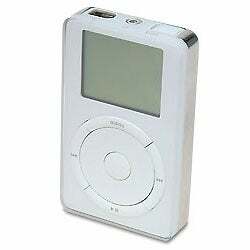 If the Walkman is the aging king of portable media players, Apple's iPod is prince regent. It rules the realm of digital music like no other device: According to the NPD Group, more than eight out of ten portable players sold at retail by mid-2005 were iPods. Yet when the $399 iPod first appeared in October 2001, it was nothing special. It featured a 5GB hard drive and a mechanical scroll wheel, but worked only with Macs. A second model released the following July offered a 20GB hard drive, a pressure-sensitive touch wheel, and a Windows-compatible version. But the third-generation player, which appeared in April 2003, proved the charm: A 40GB drive, built-in compatibility with Windows and Mac, support for USB connections, and a host of other small improvements made it wildly popular, despite its relatively high price and poor battery life. Now the fifth-generation iPod threatens to do the same thing for a new breed of portable video players. The iPod is dead; long live the iPod. Read more in Dennis Lloyd's Brief History of the iPod. PCW photo by Rick Rizner; iPod courtesy of Michael Kubecka. The appearance of the first ReplayTV and TiVo models--the pioneering Gemini of digital video recording--in the number three spot on our list may be a measure of how much we all hate TV commercials. The concept is simple: Digitize the TV signal and stream it to an internal hard drive, so the user can pause, rewind, fast-forward, or record programs at will. For the first time, users flummoxed by their VCRs (#29) could record an entire season of shows with a few clicks of the remote. And yes, it may be cheating to count these two products as one, but they appeared at virtually the same time, and each brought different yet important strengths to the DVR table. TiVo undoubtedly won the brand-recognition competition: When Janet Jackson suffered her infamous "wardrobe malfunction" at the 2004 Super Bowl, thousands of viewers "TiVo'd it"--over and over and over. ReplayTV, on the other hand, was more aggressive with commercial-skipping and networking features. In any event, the success of these products may be their undoing, as digital video recorders become a standard feature of cable and satellite set-top boxes. Eric W. Lund has more than you'd probably want to know about earlier models of both. PCW photo by Rick Rizner. 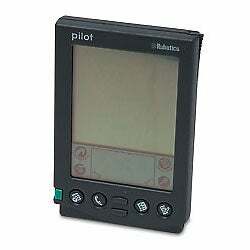 The PalmPilot 1000 was everything the Apple Newton MessagePad (#28) wanted to be: a "personal data assistant" small enough to fit in your shirt pocket, with enough RAM (128KB) to hold a then-impressive 500 names and addresses. The handwriting recognition actually worked (once you mastered the arcane Graffiti software), and best of all, you could sync your data with a PC or Mac desktop application. The brilliance of the Palm concept was its recognition that people wanted a supplement to their computers, not a substitute. Subsequent models grew smaller and more powerful, but were basically refinements to the original PalmPilot's elegant simplicity. PCW photo by Rick Rizner. 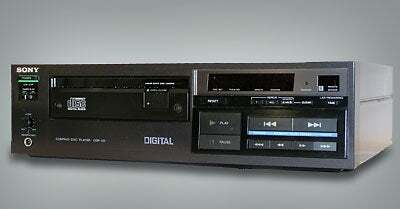 The first commercial compact disc player signaled a technological sea change that ultimately caused millions of music lovers to ditch their turntables. 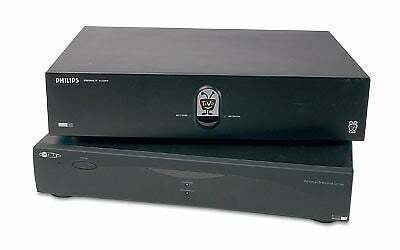 The boxy CDP-101 wasn't especially sleek, and at $900 it was priced for audiophiles, but it ushered in the age of digital sound--no more hisses, scratches, pops, or skips. Now, with SuperAudio CD and DVD-Audio offering vastly superior sound, and MP3 downloads dominating music sales, CD players may eventually join turntables and 8-track machines (#46) as relics of our audio past. But they will sure have sounded good while they lasted. For more, read a contemporary review of the CDP-101. Photo courtesy of Pavek Museum of Broadcasting. 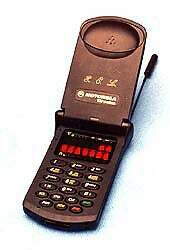 The StarTAC was the first mobile phone to establish that design matters as much as functionality, leading to today's profusion of stylish cell phones--most notably the Motorola Razr (#12). No phone of its era was more portable than the StarTAC: You could clip the 3.1-ounce unit to your belt and go anywhere, which made carrying a cell phone a lot more appealing. The StarTAC let you plug in a second battery to extend your talk time, and was the first phone to sport the vibrate option used in Motorola pagers (#13). Another plus: As the first clamshell-style phone, it looked a little like the communicators from Star Trek. Beam us up, Scotty. Photo courtesy of the Integrated Electronics Engineering Center and Prismark Partners. 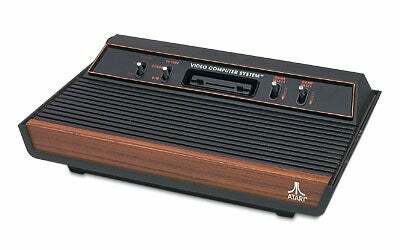 Later known as the Atari 2600, the VCS brought video games out of the arcade and into America's living rooms. It was a snap to set up: Just plug the clunky-looking box into your TV set and grab the joystick. The Atari 2600 was the first successful console to use game cartridges, which allowed consumers to play multiple games on the same system and created a huge market for crude-looking but addictive titles such as Space Invaders and Pac Man. The Atari's games may not have looked much like Grand Theft Auto, but its influence can be felt in today's Xboxes, PlayStations, and GameCubes. AtariAge has more details. Pong, anyone? PCW photo by Rick Rizner; Atari VCS courtesy of Mike Mika. 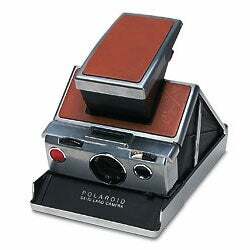 The SX-70 was a thing of beauty. Just point, shoot, and watch the image develop before your eyes. When you're done, fold up the 7-by-4-inch unit and stick it in your bag. It was the first Polaroid to automatically eject the snapshot and produce images, without making you wait 60 seconds and peel off the outer wrapper of the film. The SX-70 combined simplicity with immediacy, making it the direct forebear of today's low-end digital cameras. More than 30 years later, its design still turns heads, and some fans still use it. PCW photo by Rick Rizner; camera courtesy of Adolph Gasser Photography, San Francisco. For 20 years people had been predicting the death of the floppy, but it took a gadget the size of your thumb to actually sound the death knell. 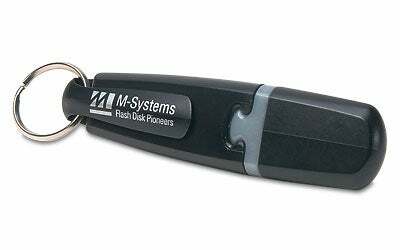 With 8MB to 32MB of flash memory at its introduction in November 2000, the DiskOnKey was easier to use than a diskette, and was the first device of its type that didn't need drivers for your PC. You just plugged it into a USB port, copied files to it, and popped it back into your pocket. Suddenly, moving big files from one computer to another was no longer a hassle. PCW photo by Rick Rizner. The Regency took radio out of the parlor and put it in your pocket. Jointly produced by Texas Instruments and TV accessory manufacturer IDEA, the TR-1 was the first consumer device to employ transistors. The $50 item didn't sell well--Sony did much better with a similar product a couple of years later--but it inspired a host of imitators, which in turn helped popularize a then-obscure genre of music known as rock and roll. If not for transistor radio, nobody would have been dancin' in the streets. 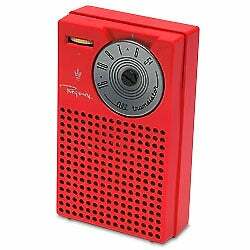 For more information, see the mini-history of the transistor radio. PCW photo by Rick Rizner.